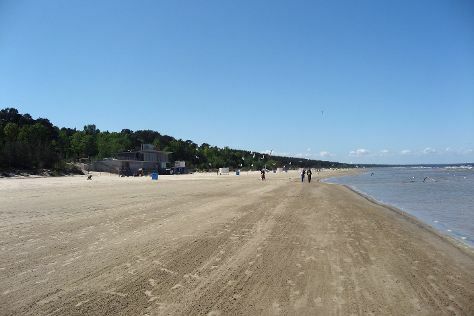 Get outdoors at Jurmala Beach and Riga Zoo. Old City Riga (Vecriga) and Riga Motor Museum are good opportunities to explore the local culture. Step out of Riga with an excursion to Salaspils Memorial Ensemble in Salaspils--about 30 minutes away. There's still lots to do: steep yourself in history at Latvian Ethnographic Open Air Museum, appreciate the history behind Freedom Monument (Brivibas Piemineklis), admire the landmark architecture of House of Blackheads, and see the interesting displays at Musee Art Nouveau. For photos, where to stay, more things to do and tourist information, use our Riga travel guide. If you are flying in from Thailand, the closest major airport is Riga International Airport. May in Riga sees daily highs of 20°C and lows of 7°C at night. Finish your sightseeing early on 4th (Sat) so you can drive to Ventspils. Ventspils is a town in northwestern Latvia in the historical Courland region of Latvia, and is the sixth largest city in the country. Kick off your visit on the 5th (Sun): step into the grandiose world of The Castle of the Livonian order, get lost in a book at Pārventas bibliotēka, and then stroll through Ventspils Beach. 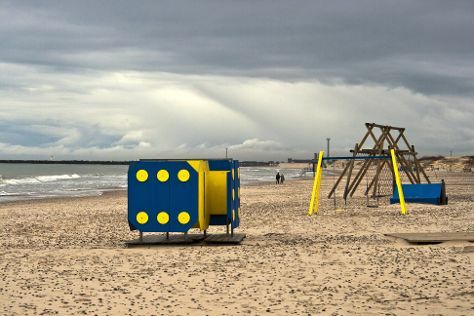 To get where to stay, reviews, maps and more tourist information, use our Ventspils travel guide. Traveling by car from Riga to Ventspils takes 2.5 hours. Alternatively, you can take a bus. In June, daytime highs in Ventspils are 20°C while nighttime lows are 10°C. Wrap up your sightseeing on the 5th (Sun) early enough to drive to Liepaja. 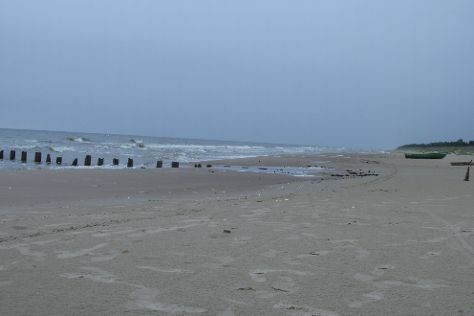 Liepāja, is a city in western Latvia, located on the Baltic Sea directly at 21°E. On 6th (Mon), stroll through Jurmalciems beach, steep yourself in history at Northern Forts, and then take in the architecture and atmosphere at St. Joseph's Cathedral. Keep things going the next day: tour the pleasant surroundings at Jurmalas Park, test your problem-solving skills at popular escape rooms, then take in the architecture and atmosphere at St. Nicholas Orthodox Sea Cathedral, and finally steep yourself in history at Karosta Prison. For photos, more things to do, traveler tips and tourist information, go to Liepaja travel guide. Traveling by car from Ventspils to Liepaja takes 1.5 hours. Alternatively, you can take a bus. In June, plan for daily highs in Liepaja up to 20°C, and evening lows to 10°C.